Welcome to Audiko.net! 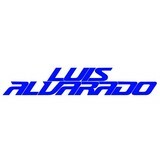 Use an opportunity to download a free DJ Luis Alvarado Oficial ringtones for your iPhone or mobile. Cut your favorite moment from your favorite tune - L. D. R. - Young & Beautiful - Luis Alvarado Spiritual Club , K.P. - Dark Horse - Luis Alvarado & Eduardo Lujan Remix, A. G. - Focus - Luis Alvarado & Jose Spinnin Mashup, or any other track. Depending on a phone model, you can download your ringer both in the MP3 and m4a formats, played by both mobile phones and iPhones. Just select a track, and choose free DJ Luis Alvarado Oficial ringtones download option.